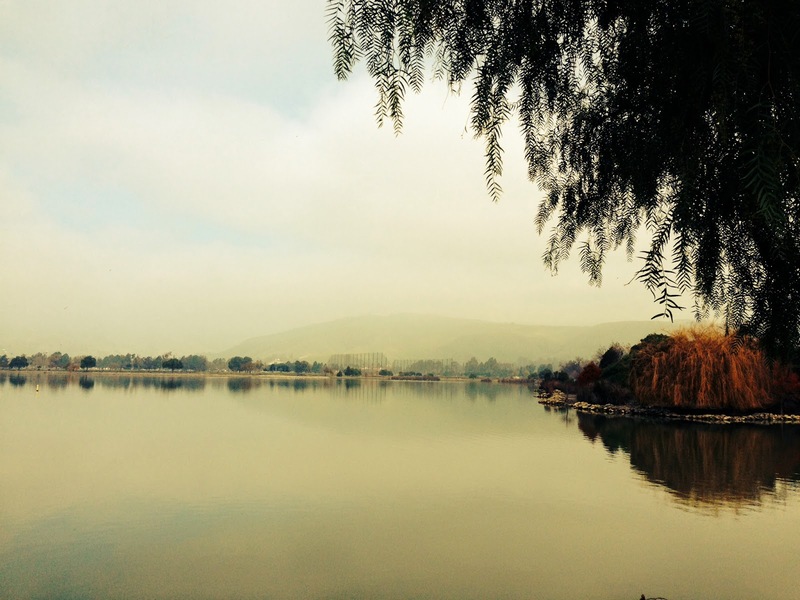 January 2015 – Grab a cuppa, tell a story or listen to one. Worrying is second nature to a parent. If you are a parent and things don’t not seem right to you if you find yourself NOT worrying at any given moment, then this is your story. 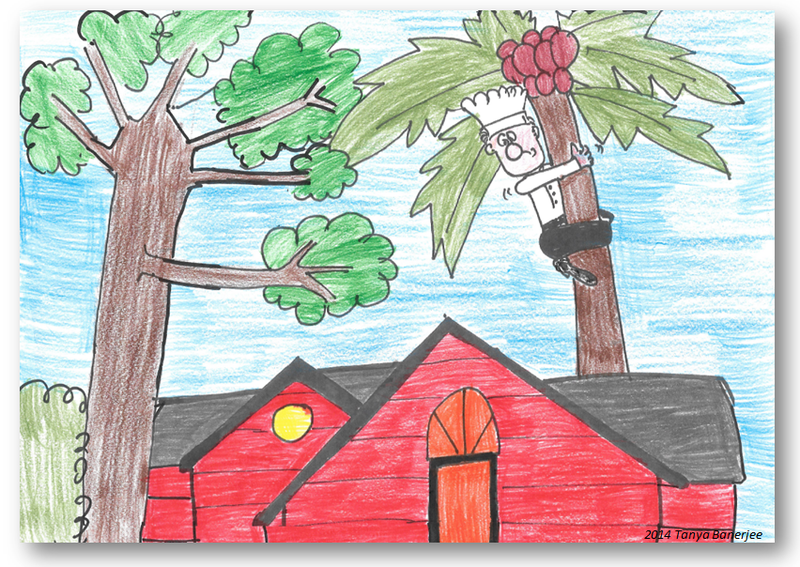 The inspiration for this story was a narration from a “worrying” mom. They did not speak much during the car ride but the worrying and not worrying continued. It pierced through the silence in the car. But no one said anything aloud. At the venue, she gave her a “do your best hug” and he gave back a “do not worry hug.” He waved and walked in smiling as if he was all set to conquer the world. She sat in the hallway knowing she had two hours to kill…two hours to fret…..two hours to worry. A book, some WhatsApp conversation, some FB time, some random picture taking later she figured she was still worrying. So she called her own Mom. “There is nothing wrong with worrying. You are a parent, you have got to worry. I need to go back to my vegetable stew.” The line was disconnected. The message had been conveyed. Caffeine helps in such moments of stress. She looks up a nearby café on her smartphone, finds her way and gets herself a cup of joe and a donut. Sugar further helps de-stress. A friend calls and they laugh about worrying all the time, the toll it takes and yet they cannot give up worrying. While sipping through her coffee, she re-confirms with another parent about her daughter’s after-school pickup, checks in with the piano teacher and looks up the venue of the baseball match that weekend. She has done all of this before. But she does it again. That is what she has gotten used to. Confirming and then re-confirming and then confirming again! Then she took the phone and took some more random pictures – of the cafe, donut, coffee mug and the street in front. The camera in mobile phones is the greatest invention of the past few decades. If not anything, it allows you to while way time creatively. Capturing anything that you wish to. Thus allowing you a few less seconds of worrying. The sugar settles in and sparks a renewed sense of energy, even if it is momentary. She drives back to the venue. The two-hour wait is almost coming to an end. As she walks in, she finds the hallway crowded with more people like her. More parents. More worrying parents. They all look like twins with the similar look of anxiety plastered on their faces. 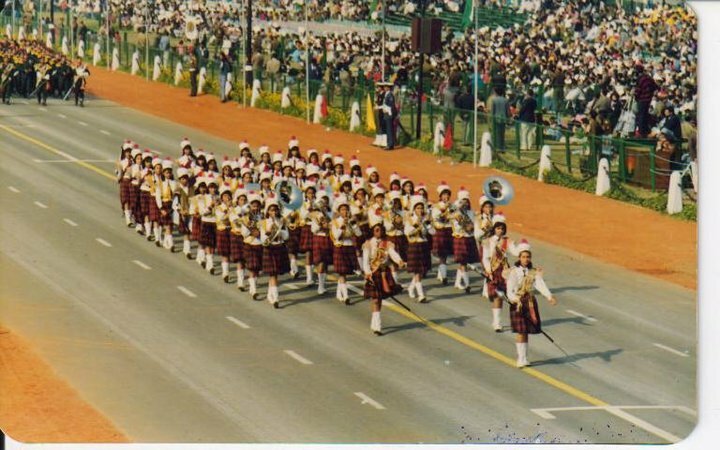 The Republic Day parade on Rajpath, New Delhi India – I watch it every year on 26 January without fail only because I have known what an honor it is to be part of that parade and walk down Rajpath representing your state, school or regiment. It is an honor that stays with you even 25 years later. Every year the parade has breathtaking displays – the formation of the combat helicopters, the showcasing of tanks and rocket launchers, the various different marching bands, colorful jhankis of the different states and the very sought after sight of the border troops who play a musical band while riding the camels decked in multicolored pompoms. Attended in person by dignitaries including the Prime Minister and the President, thousands of people come to watch the parade and it is televised too. A month-long rehearsal goes in for that 2 hour long performance. For those 30 days, people participating in the parade solely focus on the parade. They brave the early morning and late afternoon winter chills and the infamous Delhi fog to walk down Rajpath numerous times a day. 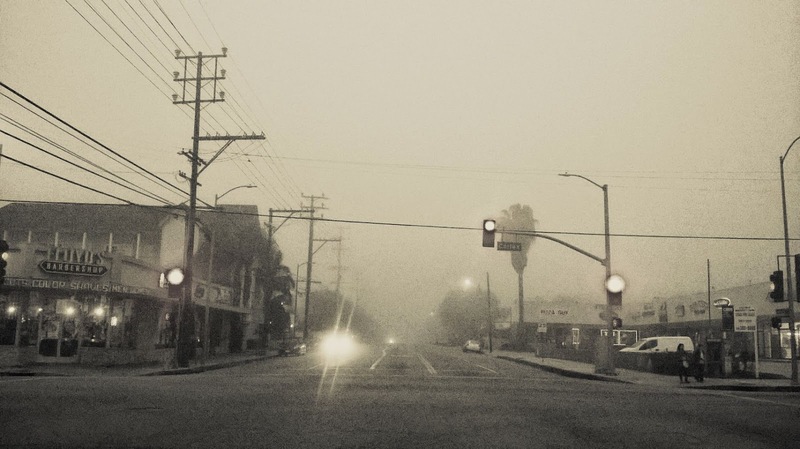 The practice never stops – rain or shine, sick or injured, fog or no visibility, nothing can cause an interruption. The discipline of it is such that it rubs it on all participants. Endurance and patience comes just by watching, by being there, by being a part of it all. 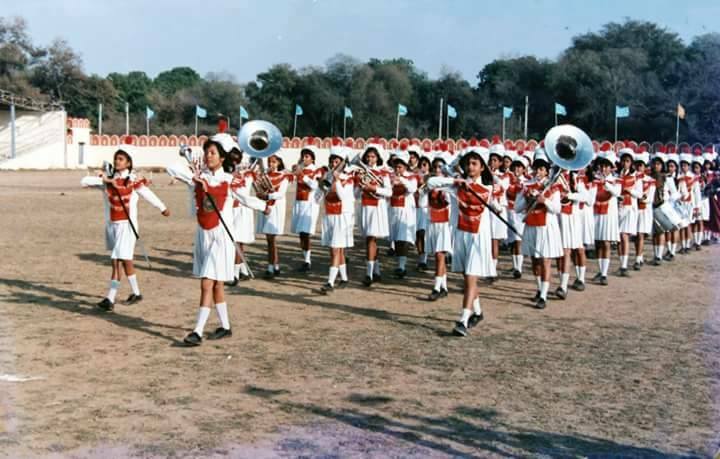 I do not know to play the instrument (BBVP Pilani Girls Band) anymore but I still remember how we would gather at the crack of dawn to rehearse every day. The French horn and other brass instruments have to be blowed in. As you press the cold metal with shivering hands and it meets your skin in almost 0-degree centigrade temperatures, any melody is really tough to come out of it. But we endured and rehearsed. Rehearsed and endured and music and melody finally did come out, much in rhythm. The cold barracks that housed us during the nights, the warmth from the chai in the steel mugs, the uniformed men and women surrounding us at all times (that we were in awe of) and the invite to the Rashtrapati Bhavan was all part of that month long stay. Food was not abundant, water was always cold and there were no cell phones, yet that was the most fun lifetime experience we ever possibly had. When I think of all this I always remember the time when a fellow band member once walked the entire stretch of Rajpath with a nail biting her feet from the inside of her marching boots. She did not mention pain, nor displayed any until we reached the finish line. The nail pierced itself by then, the bloodied wound on the feet was bandaged, boots worn and she marched off again. Behind the scenes, there is an enormous amount of waiting, repeating, waiting again and doing it all over involved in the process of rehearsals. Each time you do it over, you have to do it perfectly as you did it all the other times. You have to think that the entire nation is watching you and you are saluting the dignitaries as you go past them. And then there is more practice offsite, before and after the actual practice, physical drills, exercise regime and a lot more. It could be easy for the people from the armed forces but for a bunch of school going girls this is an endurance test. They prepare you well for the 2 hours and perhaps for a lifetime. If the discipline was not so severe, the show would never be so well executed year after year. The girls in the white knee length boots and red checked skirts, marching with a calm and poised demeanor, creating a historical moment for themselves, therefore always brings back a flood of memories. I never watched myself on TV or saw a recording of it, but I know it was a moment similar to this. Story Credit: Piya Mukherjee Kalra, who recounts her experiences as a proud participant at India’s Republic Day Parade as a student. The beauty of life is that it is always has so much to offer. Embrace the offerings. I also remember reading that story and cringing. Cringing because it has happened to me as well. I am sure it has happened to all of you. A friend, a sibling, a family member, a loved one disappearing from your life without a reason or a cause. I once forgot wishing a friend on her birthday. A friend with whom we spent a lot of time as a family. Of course, I was not her only friend and she was not my only friend. But I would say we got along very well. So I missed her birthday and then left a voicemail a few days later with a belated message. That call and several others were not returned. We caught each other on FB, chatted and everything seemed fine but then those chats died too. Text, chat, email, phone all went ignored. Meeting in person was left much to desire. During all of this, somewhere, at some point I stopped making the effort. I stopped chasing and looking for the answer for what went wrong. Relationships are not meant to hinge on trivial expectations, that was my argument. “You did not call me.” “You did not tell me.” “You did not share with me.” are trivial but difficult expectations to manage at times. Do we really need to share ALL with everyone we know ? Is it necessary to send periodic updates, see or meet often, do many other things or simply put, work so hard to sustain relationships ? Meaningless banter, this is not. We all struggle with these sort of things. The only difference is I am choosing to talk about it very publicly. It happens to all of us in our various different relationships in life and we are all left struggling with the question – WHY? While it is true that we all could do with less tantrums and drama in life and it is also true that life is too short to hang on to inexplicable reasons and harm relationships. We all know that well, yet however at times it does not feel right to cling on to threads that were already collapsing. Rightly so. My father always says, “ Mend a relationship or learn not to worry about it at all. Do not carry a baggage. Do not always try to find answers.” He lives by what he preaches. I sadly did not and am usually weighed down by the stress of it. That changed somewhere last year. Courtesy of this blog, the storytelling effort, meeting and connecting with people and my mad reading habits, I met a lot of new people last year. The hesitant me, made a lot of new connections, some transpired into friendships. I discovered the beauty of knowing people’s personal stories without intruding into their personal space. I learned to walk up to strangers and learn a valuable thing or two from them. Writing, reading, storytelling or a similar passion connected me with people and that is the strength of those relationships and friendships. It was not conditional. It was sans expectations. Most were virtual. Some happened in person. But each person left me with some humility, wisdom, life lessons, several things to learn from them and none of them expected me to remember their birthdays (the best part). That is probably how relationships are ought to be, seamless connections. That was my year and my story. But I know many who have had a rough year and most of it circles around relationships. Sometimes we very unknowingly carry a large load, baggage and obligation towards our relationships. Call it the wisdom by virtue of my gray cells or the experience that 2014 has offered, I believe It is worth lightening the load and making room for new and more. Don’t give up on relationships but also just do not carry the weight around merely as a baggage. For, life has so much more to offer always. For every end has a new beginning…..
Before I begin, I must mention that today’s post is more about introspection, retrospection and forethought and less of nostalgia…it’s all about the New Year and the year we just left behind! Adios 2014! A mixed-bag year for me and am sure for most of us as well; so many moments of celebration along with a few glitches here and there (now that it is time to reflect on the year gone by). As for me, 2015, should I say, didn’t kick off in an upbeat note (as few of my loved ones including myself were on the weaker side of the HEALTH continuum) but it did dawn with a lot of hope and promises for a better and brighter tomorrow! 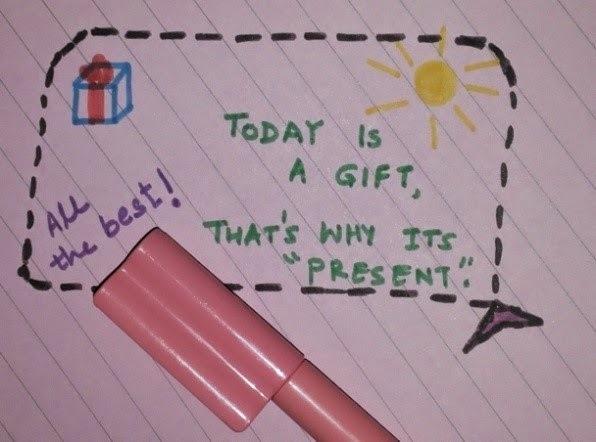 Every year I guess we grow a little older, at times wiser, and definitely richer in terms of our experiences. We learn to accept the inevitable a little better and realize that time would heal the sore no matter how deep, but one thing that makes all the difference, is our own take towards the experiences of life, for that very thing is the deciding factor in making us a stronger or feeble individual at the end of the day. Cut to present, I feel now it is time for us to put the mistakes made in 2014 to good use by learning from each of them and improvising what we learnt to make improvements in our day to day life. I also firmly believe that this year would find us with a new set of mistakes, our idiosyncrasies would surely take its peak at times and there would be moments when we would worry too much about petty imperfections (for me sometimes it’s about the home being too cluttered, Tani, my three year old daughter, not being able to write the alphabet “B”straight, unfolded laundry etcetera etcetera…). But in all this chaos we must try to remember the basics; to be kind and humble to all, be patient when needed, argue less, forgive more, be positive even in the most trying situations and moreover be cheerful and spread happiness. Yet again it is that time of the year when our New Year resolutions’ list is ready and fluttering with excitement. Most I believe we can do justice to (though with sincerity and consistency, keep going, a year has 365 days remember? ), a few might seem to be a tough call as of today but doable nevertheless and some I know would yet again remain the un-ventured arena. But with the list, at least there is a vision of tomorrow in front of us. Not to drag much, all I wish for on the onset of 2015 is a bountiful year of good health and happiness, less wars and more peace forums, of love and acceptance and of hope and belief. I hope we make better choices for ourselves and our loved ones, to always have faith in ourselves (for the light comes from within) and to keep our “moral police” alert and judgmental all the time. I pray for all to have a blessed and fulfilling New Year 2015! Authored By : Anindita Sengupta. Happy New Year everyone! Hope the first week of the New Year has been good and kind to all of you. We love the quietness in the first week of the year when everyone is just getting up from a slumber, things are slowly moving and happening but still not in the full rigor and the newness of the year is still very raw. The hangover of the year gone by is significantly there and it rightly should. For the year gone by has left us with many memories and it deserves some gratitude. The humps, the bumps, the rough spots, the happy places and the accomplishments, all of it were important. The New Year is only built on hopes and the wisdom granted by the year we bid adieu to. A big thing about the New Year’s has always been making New Year resolutions, most of which is usually broken within the year, sometimes even within the first month. Perhaps it is because we spend too much time analyzing what the resolution should be, will it work or will it not work, contemplating, calculating and thus putting ourselves to a task which cannot ever be easily accomplished. Well, that is what you call as the thinking of the adult mind. Kids, we found were much simpler. 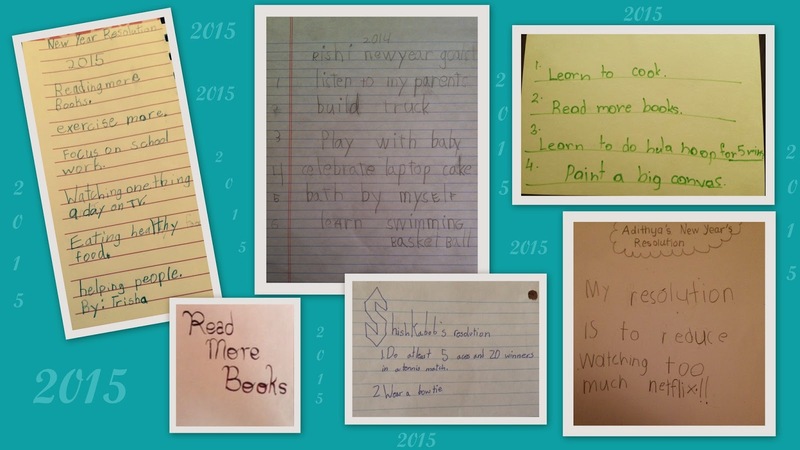 On the first day of the year, we asked a handful of kids around us, if they had any resolutions. Surprisingly, most of them did, regardless of what their comprehension of a resolution might be. They were all spontaneous and presented their very simple and easy to follow resolutions. Ok, some may not be so easy to follow. Giving up Netflix time is not easy, we totally understand that! But most of the other resolutions are things kids already know and just want to ensure they keep doing it or do more of it in the New Year. Exactly the point! Set yourself for something you think you can do or you really want to do. Figuring both of this should be fairly simple or so we think. Another person whose New Year resolutions is noteworthy is Mark Zuckerberg. It is an annual thing for him to ask for suggestions on his FB page from people about NEW and INTERESTING things to do for the New Year. Of the many suggestions, this year he picked the suggestion to read a book every two weeks. “A Year Of Books” is now a page where you can see what he reads, discuss the book and provide your suggestions for a new book. Why did we like it? Firstly, we are both book lovers and crazy readers. Soumi, when not found with her camera is found with a book. Secondly, this has actually inspired our in-house author, Piya, to read about one new culture every month of this year. She is going to do so by reading stories and fictions based on that culture / country, something written by people of that land. We will share with you at least one post every month about that and we think it makes for an interesting discussion among our readers. This month it is the “Land of rising sun – Japan”. Another new thing we want to do this year is that we will do a long..ish story weekly / fortnightly, a story of words or pictures or both based on / inspired by real life incidents. We want to write and present this as a fiction or with the nuances of a fiction. There is the hidden writer’s instinct in many of us. Not all of us can possibly make it to the publisher, that does not mean we give up on writing. Does it? We will instead use this blog to publish the stories and reach out to as many as we can. Hopefully, this effort will help us reach out to several new writers too. We are taking in suggestions for both – different cultures that we can read about and discuss here on the blog. Also, ideas, narratives or incidents in the form of a short story for our fortnightly publication. Are we setting ourselves for difficult resolutions ? Nah ! These are not resolutions. These are things we truly want to do this New Year. We took our inspiration from the kids!